Would you like to leave all your daily worries behind? Beautiful, relaxing days or weeks without deadline stress and big city buzz? Then you are at Hotel Schönruh in Gerlos in the idyllic Zillertal on the right place! Here, in the multifaceted mountain landscape of the Tyrolean Alps, you can completely relax and pamper yourself from head to toe. 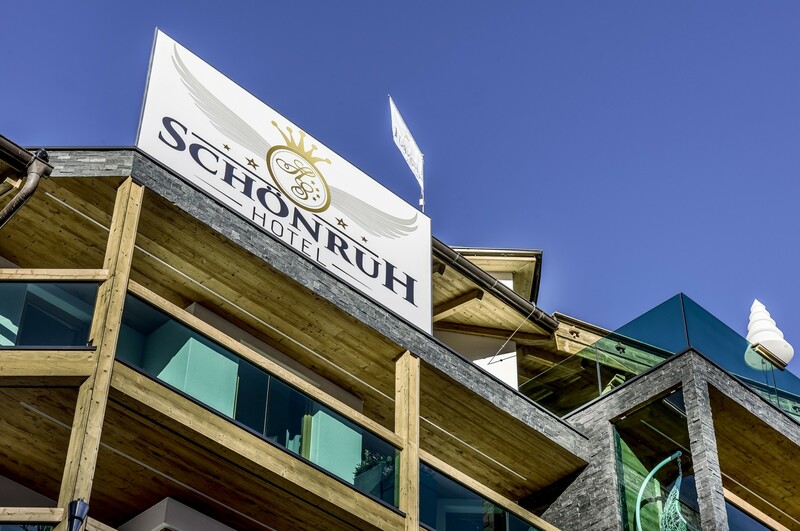 A stay at the Schönruh means relaxation in a unique natural landscape and magnificent mountain air, unforgettable sports and leisure activities, relaxing in the spacious wellness and vitality world and simply feeling good in the family atmosphere of the house Schönruh. Feel the relaxed atmosphere for example in the cozy stone pine room, the quiet fireplace lounge and the beautiful winter garden with starry sky. 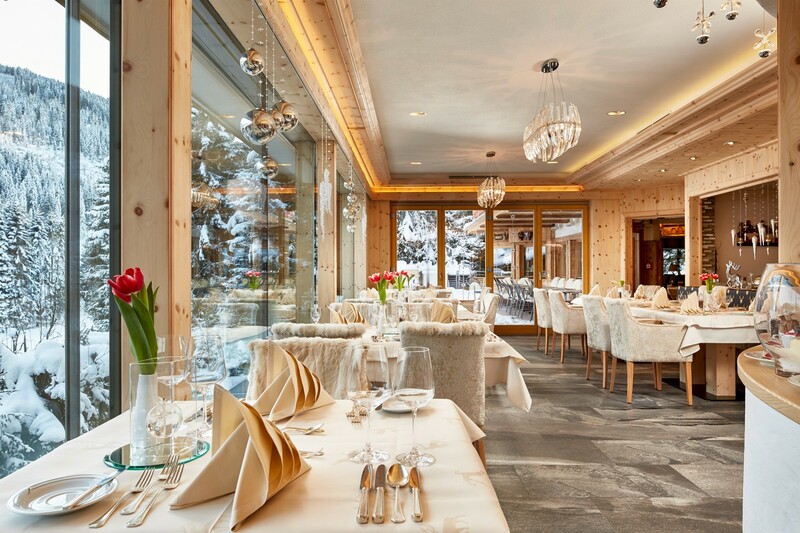 The culinary delights in the Schönruh include, in addition to delicious specialties from the exquisite cuisine, also fine wines from the in-house wine cellar. The wellness and vital world of the Hotel Schönruh makes wellness dreams come true. With the 12 x 6 meter swimming pool, seven saunas, four wellness treatment rooms, a welcoming relaxation room with a large terrace and a unique panorama view, a fitness room and a wellness bar, it meets even the most exacting requirements and guarantees relaxing hours away from the hustle and bustle. Spend unforgettable holidays in one of the most popular holiday regions of Tyrol, the charming Zillertal. The extensive sports and leisure offer in Gerlos and the Zillertal Arena gives the best conditions for an exciting ski, hiking or wellness holiday. Noisy mountain streams, lush green flower meadows and the fascinating mountain scenery of the Tyrolean Alps make every hike to a natural experience that will always be a good memory.